The French and the Chinese may be celebrating the UK’s decision to press ahead with the Hinkley C ‘nuclear white elephant’, writes Oliver Tickell. But the deal is a disaster for the UK, committing us to overpriced power for decades to come, and to a dirty, dangerous, insecure dead end technology. Just one silver lining: major economic, legal and technical hurdles mean it still may never be built. Hinkley is a project from a dying era, which would saddle Britons with eye-watering costs for decades, and radioactive waste for millenia. Renewables, smart grids and energy storage are the fleet-footed mammals racing past this stumbling nuclear dinosaur. The UK’s energy department, BEIS, today announced the go-ahead for the controversial Hinkley Point C (HPC) nuclear power plant in Somerset. Hinkley C – it now looks as if the UK may be saddled with this monstrous white elephant after all. Image: EDF. Only weeks ago Theresa May’s government delayed the signing of the deal with EDF to confirm its subsidy package which is likely to cost UK energy users anywhere from £30 billion to over £100 billion for 35 years after it opens. 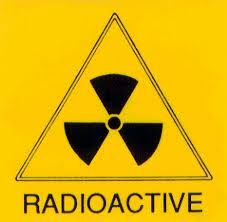 and, common to all nuclear power, the continued absence of any solution to the nuclear waste problem. Pre-announcement spin indicated that the HPC deal would be subject to a number of“significant conditions” that would address these problems. But in the event energy secretary Greg Clarke is giving the go-ahead for HPC to almost precisely the same deal that was on the table before. In particular the price remains unchanged. Mrs May is known to have come under strong pressure from both French and Chinese governments to give HPC the go-ahead. Both governments have strong interests in seeing the project going ahead. In the French case, the EPR reactor has cost EDF and Areva – both companies controlled and mostly owned by the French state – uncountable billions of euros. Four EPRs are under construction, in France, Finland and China. All are running very late and billions of euros over budget, while the French reactor at Flamanville may never open due to a faulty reactor vessel. That means that HPC represents France’s last chance to present the EPR as a viable reactor for the lucrative nuclear export market, re-establish credibility, and regain value for its so far utterly failed investment in the EPR. The deal also offers EDF a very high return on investment of over 10% based on the expected construction cost of €24 billion, making it (and UK energy consumers) a valuable ‘cash cow’ for the highly indebted company for many decades to come. China is also intent on capturing its share of the global export market for nuclear power and HPC is its ‘way in’ to it. As part of the deal, Chinese nuclear company CGN is to get preferential treatment to build a new nuclear power station at Bradwell in Essex to its new, untested ‘Hualong’ reactor design that it intends to promote to international buyers. So, plenty of good reasons for China and France to want to progress the deal. But what’s in it for the UK? Answer: Brexit. By sucking up to France, the government hopes to win over France as an ally in negotiating a better deal for the UK in Brexit negotiations. And as far as China is concerned, the UK is desperate to reach a trade deal with what is now by some measures the world’s largest economy and a major exporter to the UK. In particular the UK is seeking tariff-free access to the fast-gowing Chinese economy for UK manufactures, and the powerful financial services industry. We can be sure that both countries leaders and ministers put the frighteners onto Theresa May and her entourage at the recent G20 summit to go ahead with HPC – and that she succumbed to that pressure at enormous cost to the UK, failing to win even the smallest concession on price. The UK’s craven acceptance of the disastrous HPC deal was been widely condemned. Simon Bullock, senior climate campaigner for Friends of the Earth said: “Hinkley is a project from a dying era, which would saddle Britons with eye-watering costs for decades, and radioactive waste for millenia. Renewables, smart grids and energy storage are the fleet-footed mammals racing past this stumbling, inflexible nuclear dinosaur. The PM should act in Britain’s interests and invest in a renewable, non-nuclear electricity grid – it will give us more jobs and less pollution, at lower cost. This is blatantly the wrong decision from the PM. Caroline Lucas, co-leader of the Green Party, said: “It is truly absurd that the Government plans to plough billions of taxpayers’ money into this vastly overpriced project, and has done so without informing Parliament of the true costs. It is even more absurd that they are doing so at the same time as reducing support for cheaper, safer and more reliable alternatives. Instead of investing in this eye-wateringly expensive white-elephant, the government should be doing all it can to support offshore wind, energy efficiency and innovative new technologies, such as energy storage. Even Labour’s energy spokesman Barry Gardiner – who has supported HPC against the wishes of Labour leader Jeremy Corbyn under pressure from big unions – complained that the price was “far too high” and that the guaranteed price of £92.50 per MWh (in inflation-proof 2012 £) should be “tapered”. But despite today’s announcement there remains considerable uncertainty as to whether HPC will actually be built – among them legal challenges in the European Court to the unbelievably generous subsidy package for the project which appears to be incompatible with the EU’s ‘state aid’ regulations. In addition both EDF and CGN, poised to take a 33.5% share in HPC, are unlikely to commit significant further capital to HPC until the Flamanville situation is resolved, and there is at least one working EPR to demonstrate that the design is constructable and operable – something that is still years away. The highly risky (if potentially very profitable) project is also widely opposed within EDF as if it fails to ever generate power, or to operate reliably, it is likely to bankupt EDF. Also the company has yet to to line up the £16 billion (or more) it will need to finance its share of the project. “This decision is unlikely to be the grand finale to this summer’s political soap opera”, said Greenpeace executive director John Sauven. “There are still huge outstanding financial, legal and technical obstacles that can’t be brushed under the carpet. There might be months or even years of wrangling over these issues. That’s why the Government should start supporting renewable power that can come online quickly for a competitive price. Richard Black, director of the Energy and Climate Intelligence Unit (ECIU), added:“Despite this being called a ‘final decision’ to build Hinkley C, other hurdles, including technical and legal challenges, may well lie ahead for the project. French trade unions don’t like it, nor do some of the likely candidates for the French Presidential Election next year, EDF’s finances are not the healthiest, and the French nuclear regulator is examining flaws in steel used for a similar reactor being built in France. So it may turn out not to be quite as ‘final’ as it looks now. Although China is reportedly happy with the new position, questions also remain over its main ambition – building its own nuclear reactors at Bradwell in Essex as a route into the Western market. The Chinese reactor hasn’t even begun the process of gaining UK safety approval, which usually takes four years, so negotiating a contract for Bradwell would fall to the next UK Government, not this one. And by then, electricity from other sources might look a whole lot cheaper than it does now.